Between the flowers and the cows! 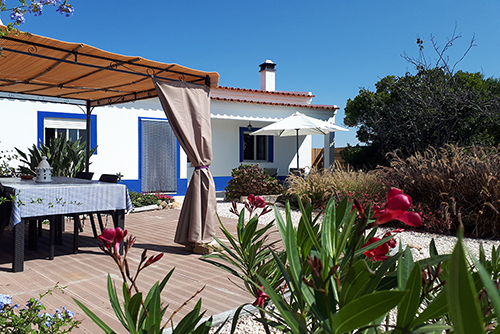 This nice country house is ready to accommodate 4 guests and is situated in the country side between Aljezur and Odeceixe. The holiday home has stunning views to the natural parc. The ocean and the beautiful coastline of the western Algarve with hidden beaches you reach in 15 minute walk! And also the village of Rogil, with a good bakery, freshmarket, supermarket, ATM and fuel station. Good conditions for surf in Aljezur and Odeceixe. Outdoor is a quiet terrace with funiture. In the area around are little agriculture activities, beautiful views over the flowerfields.